Diane Dietz is the CEO and President of Rodan + Fields, the leading skincare brand in North America and one of the fastest growing industry disruptors in beauty. During Diane's tenure, the brand has experienced unprecedented growth, exceeding $1.5 billion dollars in sales through its unique consumer connected commerce model and dermatologically inspired products. Diane is growing the brand with an increased pace of innovation, introducing blockbuster products, as well as leading global expansion plans. She is taking her deep retail and CPG experiences to propel the brand forward to meet today’s consumers’ growing needs and keeping the customer at the center of everything the company does. 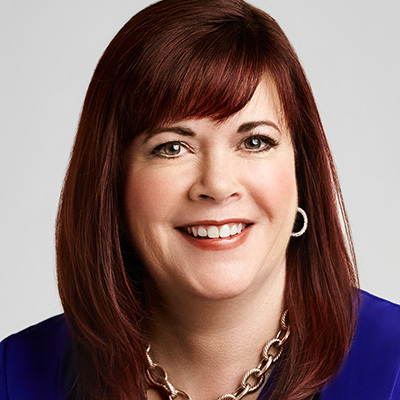 An accomplished executive with more than 25 years of experience managing complex global businesses, Diane joined Rodan + Fields after serving as the Chief Marketing Officer and Executive Vice President at Safeway Inc. While at Safeway, Diane was responsible for the $40 Billion-dollar P&L and all functions related to marketing, merchandising, supply chain, loyalty/digital strategy and the award-winning private label business. Prior to Safeway, Diane spent nearly twenty years with Procter & Gamble, where she was credited with rejuvenating the Crest brand. She also played a lead role in the Gillette acquisition, with responsibility for integrating the Oral B business unit in North America and globally. Diane serves on the Whirlpool Board of Directors- the largest consumer durables company in the world. She has been the recipient of many industry awards over her career and lives in the San Francisco Bay area with her husband Patrick Suciu and her two young daughters.